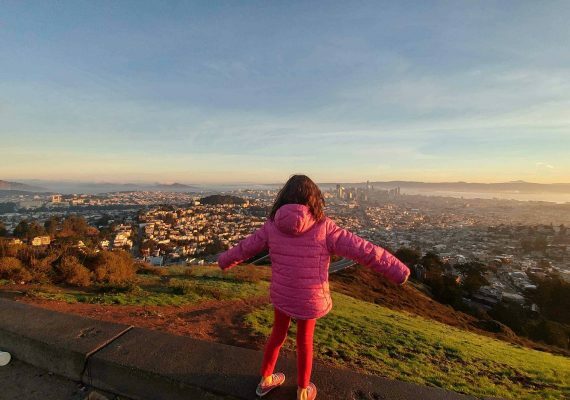 This full-day itinerary of San Francisco with kids is best done in comfortable walking shoes. It's San Francisco, so there are many hills to climb up and down. Heading to San Francisco with kids? 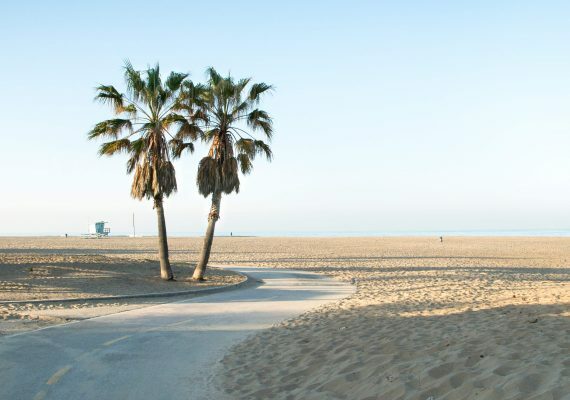 This full-day itinerary is jam-packed with iconic views and fun things to do for the family. Begin your day with a yummy breakfast and coffee at Pat's Café. Next, prepare the kids for a bit of a workout by walking up along Lombard Street, which is (incorrectly) known as the "crookedest street in San Francisco." The winding walk up is well worth the effort, as you are rewarded with spectacular views. Next stop on your fun-filled day in San Fran, Alamo Square Park. 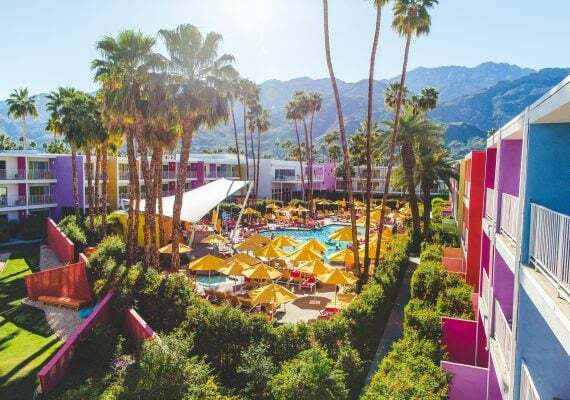 You'll quickly recognize the scenery and panoramic views from movies and TV shows, plus there's a playground! Lastly and most famously, head over to the Golden Gate Bridge. No trip to San Francisco is complete without seeing this beauty. Perhaps you will peer over and see the surfers catching waves as well! This day covers a large area of the city, but includes its famous spots to take in the beauty of the Bay Area. Pat's Café is a cozy breakfast place on a quiet street around the North Beach area. There's a bit of a wait on a Sunday morning, but it was well worth it. We recommend the Cold Wild Smoked Salmon Benedict for adults and the pancakes for the kids. The coffee is great as well. TIP Be ready to wait a little bit if you come on a weekend. I'll start with the fact that our heavy three-year-old refused to walk up this very steep and very windy street. So, she was in the Ergo carrier throughout the whole thing. That being said, it was still more than worth it. Lombard Street is incredibly steep, crazy curvy and provides for beautiful views of San Francisco from above. DIRECTIONS It's a only a short 5- to 10-minute walk from Pat's Café to Lombard Street, but it's pretty steep. Take your time and enjoy the views! As this was our first time in San Francisco, of course our first order of business was to see those views you always see in movies that are filmed here. 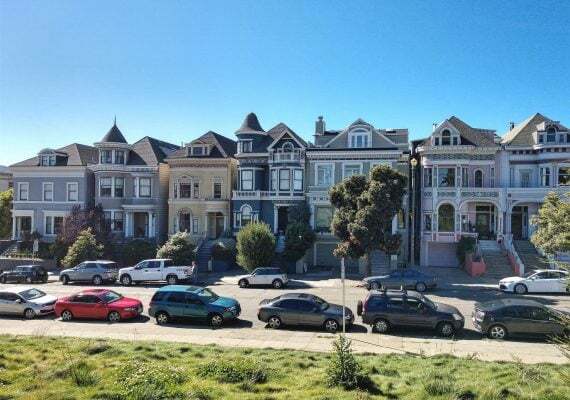 Alamo Square Park is the park with a view of the famous row of colorful Victorian houses called the "Painted Ladies." The park sits on a hill and has a very cool playground, walking trails and incredible panoramas of San Francisco. DIRECTIONS Walking from Lombard Street to Alamo Square Park takes a good hour, but it's worth it as you'll walk through many beautiful neighborhoods along the way. If you get tired, you can also catch Bus 22 along Fillmore Street. The Golden Gate Bridge is the symbol of this city and is truly magnificent. A visit to San Francisco with kids (or without) must include this iconic site. The views are pretty spectacular as you are walking up and down the trail, getting closer to the base of the structure. We came here around sunset, and the colors were incredible. You also may get the perk of watching surfers catching bay waves under the bridge. DIRECTIONS It's a little more than 4 miles (6.4 km) to the Golden Gate Bridge Welcome Center from Alamo Square Park. It takes at least 1.5 hours to get there, so put on your walking shoes. Alternatively, you can catch one of the many buses, but you will most likely have to connect, since there's no bus that goes straight from the park to the bridge.